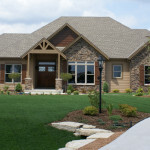 Click here to take a virtual tour of this beautiful house! 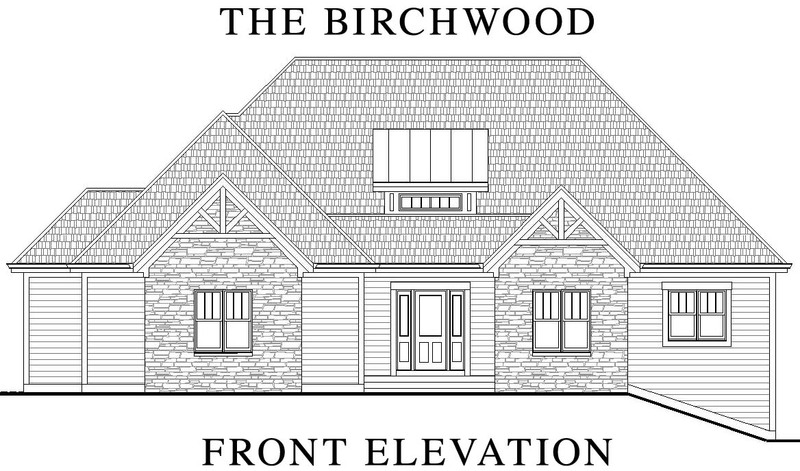 Woodhaven Homes is proud to unveil the Birchwood, a home designed for modern day living. 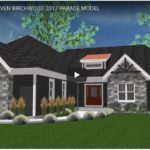 This unique Craftsman style home with a contemporary flair is an open concept split bedroom ranch with a partial exposed lower level that exemplifes family living at its fullest. As you first walk in you will be wowed by the impressive foyer and open staircase to your future finished lower level. Next you’ll see the grand great room and kitchen combination which is a great gathering space for family and friends.The barnwood flooring, vaulted ceilings with wood beams and floor to ceiling Ledgerstone fireplace creates an inviting space. The chef’s kitchen, which is designed and equipped to satisfy the needs of any personal chef, has a walk-through pantry that leads to the spacious laundry room and a large arched island, oversized dinette which opens to the covered patio. The master bedroom suite has a cathedral ceiling, large walk-in closet, spacious tile shower with dual shower heads and hand helds. 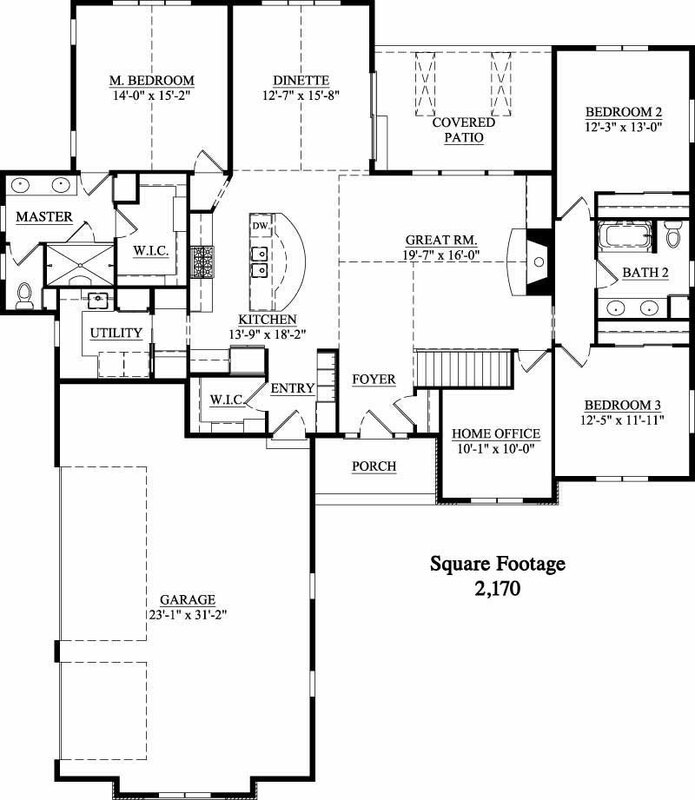 There are two additional bedrooms, a full bath and a den/office on the other side of the home. Also, as you enter from the oversized 3.5 car garage there is a mudroom with custom lockers, drop zone and large walk-in closet. The option of finishing the partially exposed lower level could include a fourth bedroom, bathroom, bar area, theater room, hobby areas or additional living space to meet your individual needs.